Lake Effect's Audrey Nowakowski with Milwaukee County Behavioral Health Division Administrator Mike Lappen and BHD nurse Vie Lucas. A few years ago, the Milwaukee-based Public Policy Forum reported the state was facing a looming nursing shortage, due to an aging population and an aging workforce. More recently, Lake Effect also reported on a collaboration between United Healthcare’s United Health Foundation and Milwaukee Area Technical College to help close that nursing gap through educating and graduating more nurses. However in the midst of all of the nursing shortages, the need for mental health nursing is even greater. 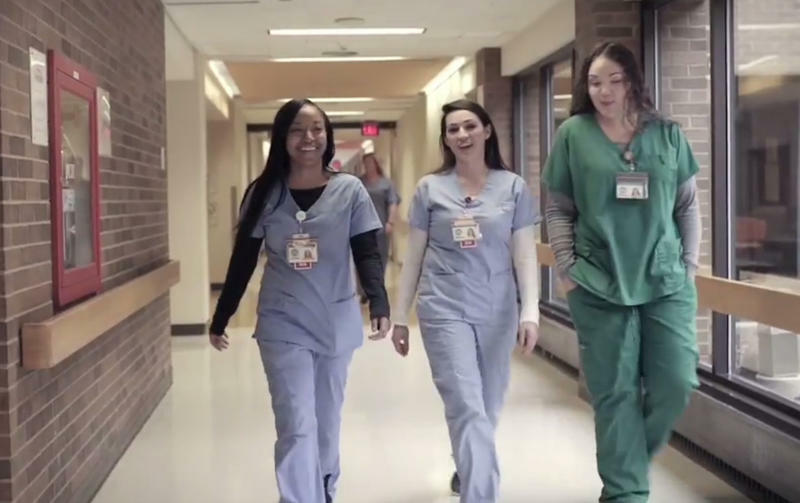 The Milwaukee County Behavioral Health Division, or BHN, has launched a new campaign to challenge candidates to remember why they became nurses and to encourage others to start careers in the mental health care field. BHD is also holding a mental health nurse job fair on March 23. "What we're trying to target are the so-called millennials and maybe folks seeking a second career who are really cut out for this work and have a passion for this work," says BHD administrator Mike Lappen. It takes a special set of skills to be a mental health nurse, Lappen says, and nurses at BHD work with complex cases. He says he knows that it takes a uniquely qualified person to immerse themselves in mental health care, but is also confidant that there are people in Milwaukee who are more than capable if the opportunity is presented to them. Lappen hopes this campaign will encourage people to learn more about mental health care careers. "I think there's a stigma around mental health and substance use," he says. "I also just think it's not on anybody's radar today to be in this field and provide these services." The new recruitment campaign profiles BHD nurses who share their reasons for entering the field of mental health nursing. Vie Lucas is one of those nurses, and she works in Psychiatric Crisis Services. Lucas works with Milwaukee's most vulnerable populations on a daily basis, including the homeless and those who suffer from issues such as alcoholism and substance abuse. Vie Lucas, RN, Psychiatric Crisis Services, Milwaukee County Behavioral Health Division. "That's a huge challenge in itself because you're not only working with these people, but you're also working with their families," she says. "And it's in a broader sense, you can't just focusing on the person, you're focusing on all the lives that this person may effect." Lucas is often a person's first point of contact when they enter the hospital. "I've never heard of any of my friends talking about something as powerful as being there for people when they absolutely need you the most. And I have the opportunity to do that on a nightly basis." Lucas wouldn't have guessed she would become a mental health nurse. She had planned on being a labor and delivery nurse, and never even had a rotation in psychiatric care as a student. But when Lucas saw an open position with the County, she decided to take the plunge. "It's a decision that I would never take back, ever," says Lucas. "I absolutely love my job...There's no two days the same, there's no two patients the same. So it's the challenge that I need in my life and it's always exciting, I'm never bored at work." *This piece originally aired on March 22, 2017. The Behavioral Health Division will be hosting a nursing job fair on Thursday, January 11th, 2018 at the BHD Division Building on Watertown Plank Road. Click here for more information. 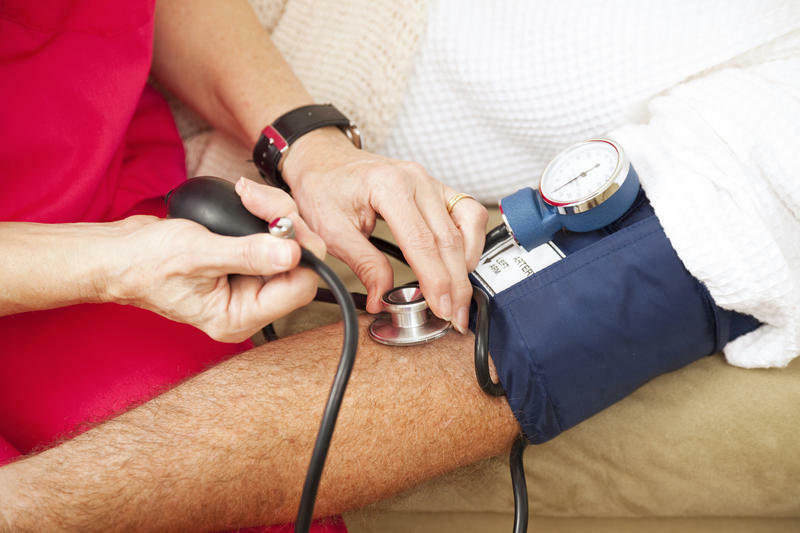 A few years ago, the Milwaukee-based Public Policy Forum reported the state was facing a looming nursing shortage, due to an aging population and an aging workforce. A recent collaboration announced seeks to close that nursing gap. A $2.3 million fund from United Healthcare’s United Health Foundation to Milwaukee Area Technical College, or MATC, stands to greatly increase the college's ability to educate nurses. Milwaukee’s north side needs more mental health services. So the county plans to develop a facility there and is in the process of seeking community input. On Wednesday, a public meeting was held. Both behavioral health officials and community members insist that patients will be best served near their homes and by people they can relate to. 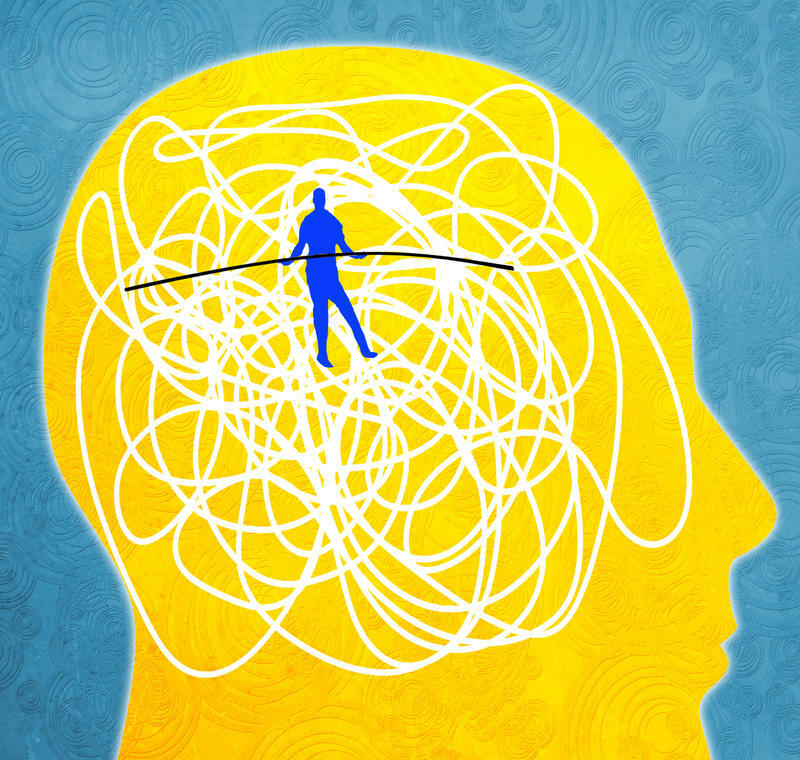 For decades, Milwaukee County’s mental health services were based on an institutional model. Today, more and more patients are receiving their care through what’s known as a community-based system. Through the community-based method, patients are treated as individuals in settings such as their own apartments and group homes. Research shows that patients do best under the least restrictive circumstances. Since 2010, the County has made strides in offering this kind of care. However, many people in the Milwaukee area not seeking or receiving treatment.